The national catastrophe of environmental pollution has been evidenced by the mass death in the central coastal provinces. Scientists believe that this is the result of decades of economic development at which downplayed the destruction of the environment. While highly polluted factories, such as minerals, metallurgy, coal power, and chemicals, are strictly controlled and ostracized throughout the world, Vietnam welcomes them. When disaster strikes, people denounced their violations, the government shielded the big companies and suppressed the people. The current development policy is focused on investment despite the heavy and long-lasting impact on posterity through the environment. Formosa Steel Plant is a worldwide large-scale project, with a starting capacity of 7.5 million tons per year and a capital of US $ 15 billion, ranking itself 18th in comparison with Steel production capacity of countries in the world. When they started production, they discharged their wastewater into the Ha Tinh sea, causing a catastrophe spreading over 200 km of Trung Viet coast a year ago. Formosa Company has accepted the mistake and agreed with the Vietnamese government to compensate 500 million USD, although experts assess damage can be a hundred times higher. So far, the marine environment has not recuperated, the sea produce is still unsafe, and the complaints of the people are not being tried by the court. The government has recently looked at 50 years or more for new hope of recovery and has examined Formosa forcing them to rectify any mistakes before they continue operation. Formosa has recently overstated 52 out of 53 violations, although Formosa has not completed yet, allowing Formosa to go back into operation. Formosa has a deliberate criminal offense, for silently replacing the stamping technique (extinguishing and cooling) instead of using dry inert gas to convert to wet water to increase its profit. It's a shameful fraud because pollution from wetting techniques is two to three times higher than dry technology and is 20% less steel output. Pollution helped Formosa increase profit, but the population paid the price with their health, reducing their life expectancy worsen their living condition. There is no sense of responsibility. 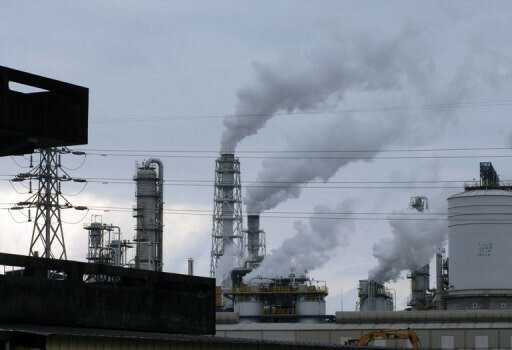 After the sea environment disaster last year, residents expect the government and Formosa to review their entire operation process and plant design to ensure that the outdated plant pollution is under control in every situation. But neither Formosa nor the authorities have the capacity, expertise, and sense of responsibility to anticipate and deal with this polluted factory. Only one day after the solemn commencement of the operation, a fire broke out and the explosion can be heard from three kilometers away. The work did not stop there, as the authorities investigated and concluded that the dust filter in the lime kiln was ruptured, and the lime kiln was abnormal. This explanation is completely non-scientific and offers an inadequate shield. The image above shows the place where the fire broke out but there was no trace of smoke and burning dust sticking to it. Lime is not combustible, lime dust is not included in the dust list. The image of smoke rising from the flames of the factory is the evidence of the burning reaction of high-heat fuel. Thus, lime kilns are not the only suspect; Fuel injections, human error, or design or contractor mistakes. The lime-fire extinguishing hypothesis is antithetical to reject, the coal dust hypothesis is most reliable because the cooking process requires both lime and coal at the plant. Indeed, coal is highly combustible. 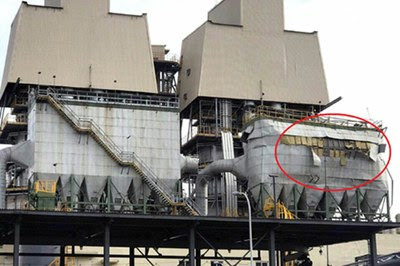 If the coal dust is absorbed into the lime dust filter system when the coal concentration is 60 g / m3 and the ignition sources reach the temperature at 540 C, it will be plausible for it to explode. The second reliable hypothesis is that when power supply systems in the plant are have not met safety standards. If flammable gas is used with a normal electrical appliance, it will ignite and cause a fire. 1. The price for additional environmentally sound investment is no longer economically viable. Currently, the world steel market only produces half of the steel plants' full capacity. No investor would spend hundreds of millions more to protect the environment. 2. Lack of technical skill and know how. Due to the lack of professional and formal knowledge of Formosa, the government cannot afford to anticipate and solve its complex technical problems. 3. Vietnam's Judicial system is not an independent arm of the government so it can not make a stand alone decision between the government and enterprises. That's why negotiating with the government is the quickest, easiest, and least costly solution for a business like the $ 500 million deal last year. 4. There is still a strong bond and belief between China and Vietnam due to the "16 Golden Words" which binds the 2 countries into a covenant. Household guests will not throw their garbage inside a house unless they have been invited to bring those garbage in. In the same way, our country knows that if the four hindrances mentioned above have been overcome, this country will return to a sustainable road map in which the government will be welcomed by 90 million people.